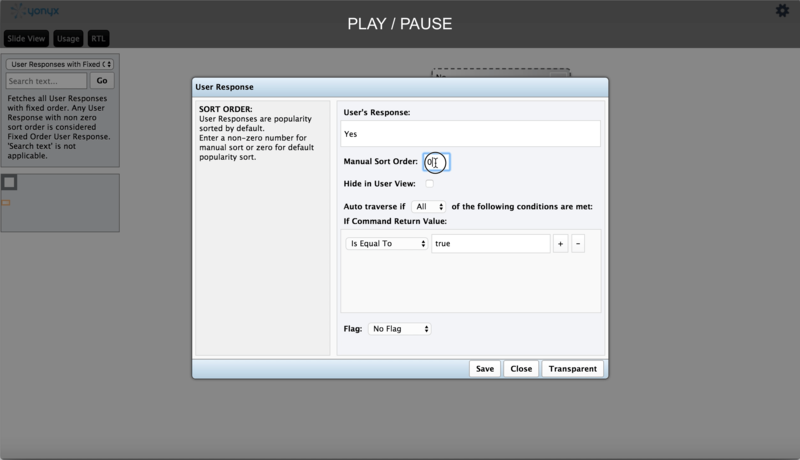 All user responses at each guidance step of a Yonyx guide are reshuffled periodically based on the popularity each user response. This popularity is determined by looking back at last four weeks of usage of the guide. An Author may want to fix the sort order of these user responses – so that the user has an easier time selecting one of them. This is accomplished by setting a Manual sort order for the user responses. Once set, Author can also search for user responses in the guide that have Manual sort order set. Remember, any search in Map View – always takes place across all the expanded nodes. So if a portion of the guide has not been expanded by the Author, then the search may not show all possible nodes with the search criteria.